There is no question that Sustainable 3D Printing is changing the game in various fields. Automotive manufacturers use 3D printed models for prototyping, while the Medical industry uses 3D printing for customised prosthetics, 3D visual models for complex surgeries, implants and more. Meanwhile, the building and construction industry has recently made strides in integrating sustainable 3D printing processes. Since the production of the first 3D printed wall in 2004 by Professor Behrokh Khoshnevis, of the University of Southern California, more industry innovators have rose to the challenge of finding more ways to harness the technology. In June 2018, the Dutch city of Eindhoven was the chosen location of a project milestone, a 3D-printed housing development, in which they are set to print five sustainable multi-storey homes by 2019. The developers aim to reduce the CO2 emissions by keeping the use of concrete to a minimum and create a sustainable living environment for the future occupants of the community. Last year, researchers from the Swinburne University of Technology were recognized for their groundbreaking achievements in 3D concrete printing using cement and Geopolymer binding systems. On an article posted on the Engineers Australia website, Professor Jay Sanjayan, Director of Centre for Sustainable Infrastructure described the potential of 3D printing to "provide the freedom to produce a structural component independent of the shape". By choosing the correct particle size distributions and binder deposition methods, the team created a 3D model of the Sydney Opera House to demonstrate. Concrete is not a renewable or reusable material. In fact, cement production amounts to almost 5% of the global anthropogenic CO2 emissions. With 3D Printing, the application of concrete is precise and calculated, lowering construction waste to 30%-60%. By using CAD and other modelling tools, the printer lays down successive layers of either resins, concrete, sand or metals until the object is complete. Other raw materials tested for 3D use include recycled plastic, bioplastic and synthetic experimental mixtures of sand and chemicals. Sustainability is an indicator of a construction project's success. 3D Printing sustainable construction materials can potentially save time, cost, energy, reduce pollution, improve health and safety on-site conditions, and more. However, there are still limitations to its use. An entire building or home, can't be completed out of a nozzle just yet. The technology is still in its infancy. In fact, there is currently no regulatory framework set-up on the Building Code of Australia. However, the Building and Design Sector is an industry of innovators, and it is our business to make things happen. 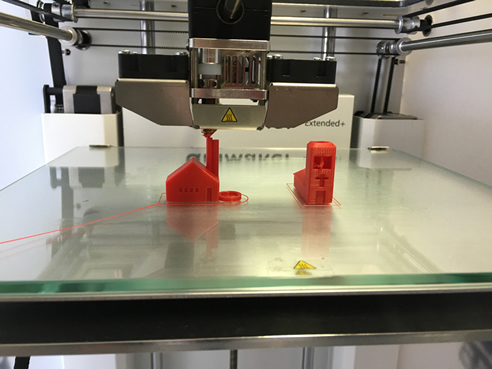 3D Printing has the potential to solve rising housing and property costs. The potential of 3D Printing for Building and Construction in Australia is exponential. In fact, 16% of DesignBUILD show attendees expressed interest in 3D Render and Printing Technology. Join over 6,000 attendees at next year's DesignBUILD conference on 14-16 May 2019 at the International Convention Centre in Sydney. Visit www.designbuildexpo.com.au for more information.